I’m always a big fan of interesting museum exhibits and clever installations. 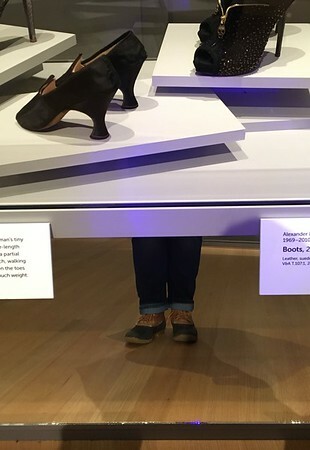 I definitely love the ankle height mirrors below the cases in the Peabody Essex Museum’s exhibit, Shoes: Pleasure and Pain. The contrast between the very interesting shoes in the display and my own, fairly pedestrian, footwear is striking. This entry was posted in 2017 Pic a Day on February 16, 2017 by Rebecca.